We’re all busy, aren’t we? We all have busy lives, doing busy things, being busy all the live-long day. Too busy to be digging for decent new music, certainly. But fear not, we’ve done the dirty work for you and found the very best new tracks of this week, handily compiled in pocket-sized format to squeeze into your busy, busy life. Note that Rae Morris’s excellent new single ‘Do It’ doesn’t appear on this list. That’s because she has a piece all to herself right here. It turns out, between posing in his undies and baiting the gay community into a rabid, foaming-at-the-mouth thirst frenzy, Nick Jonas actually makes music. The youngest of the Jo Bros has found his place making decent grown-up pop music and his latest release is probably his best yet. Inspired by dancing for five hours straight at a party at Coachella, it’s a moody dance single about Jonas’s quest for love. If it sounds cheesy, it kind of is, but the schmaltzy sentiment is remedied by the driving club beat and Jonas’s hypnotic vocals. A colourful spritz of bubbly electro-pop, NAO returns with her first new track since last year’s critically acclaimed album For All We Know. ‘Nostalgia’ is a sugary headrush of funky synths and dizzying vocals, NAO revelling in reminisces of an old love. A disco-inspired affair, NAO whets our appetites on her snazzy rose-tinted new track. To call ‘The Gate’ beautiful would be an understatement. To call it masterful, accomplished, affecting, emotive, powerful or inventive would also be to do it a disservice. But Björk has always been an artist who has defied earthly descriptions. 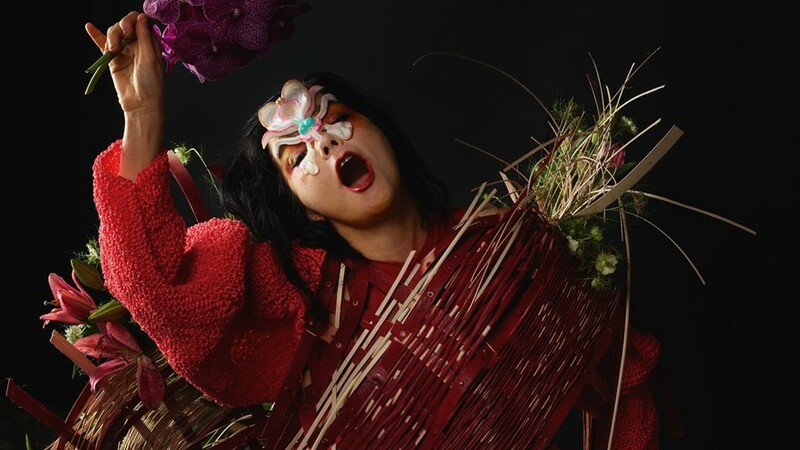 On her latest track, Björk adds a new chapter to the narrative of last album Vulnicura. While that was an album about heartbreak, her new album, Utopia, looks set to be a record about healing. Opening with the lines “My healed chest wound / Transformed into a gate”, she makes reference to the striking Vulnicura artwork that depicted her with an open gash down her chest. On ‘The Gate’, Björk is ready to receive love again. With the simple refrain of “I care for you, care for you” booming over Arca’s minimal electronic production, it makes for an intimate and typically breathtaking listen. There is something joyful about the unapologetic queerness of Brendan Maclean’s music, even when he’s singing about heartbreak. As we wrote earlier this year, Maclean is at the forefront of making art that is truly, unabashedly queer, something he showed in the controversial video for his single ‘House Of Air‘. On new track ‘Fighting For’, the first song on new EP Solo, Maclean is still wearing his queerness on his sleeve. Addressed to a former boyfriend named Henry, ‘Fighting For’ is a riveting synth-pop single that sees Maclean poring over the tatters of an old relationship. It’s a track that hums with regret and ruefulness, but – as is typical with Maclean’s music – one that makes you want to dance along with it. Another lazy-days bit of slacker pop from Australia’s Julia Jacklin, ‘Cold Caller’ is a track inspired by Jacklin’s older sister’s pregnancy. “I had all these crazy nightmares, where she kept disappearing into the dark and every time I caught up to her she’d slip out of my hands again,” Jacklin said. “Woke up in an absolute state to the news that she had given birth to a healthy baby boy.” With its rocky electric guitar edge, ‘Cold Caller’ might not sound like a tribute to a newborn baby, but it certainly captures the nerve-wracking uncertainty that plagued Jacklin’s dreams in the run up to the birth.